The Swiss psychologist Jean Piaget theorized that the cognitive development of children goes through four stages: the sensorimotor, the preoperational, the concrete operational, and the formal operational stage. Piaget’s work led to the theory of knowledge called constructivism. The essence of constructivism is that although information, facts, etc. can be transferred from teacher to student, knowledge has to be constructed by the student. Seymour Papert, the creator of Logo, the first programming language for kids, took the construction idea, tied it to making things, and called it constructionism. Logo, through the work of Mitchel Resnick and his group at MIT, has evolved to Scratch. 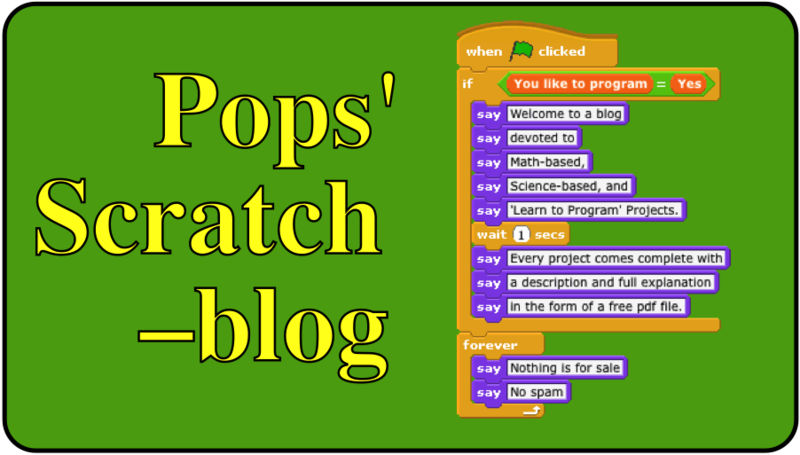 That Scratch is a success as a social constructionism community is reflected in its numbers. 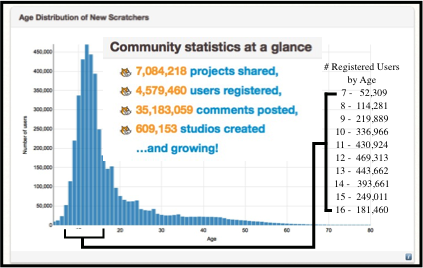 As of November 21, 2014, these are the Scratch statistics. Piaget’s Constructivism, Papert’s Constructionism: What’s the difference? Educational Technology, vol. 52, no. 4, pp. 42-46.